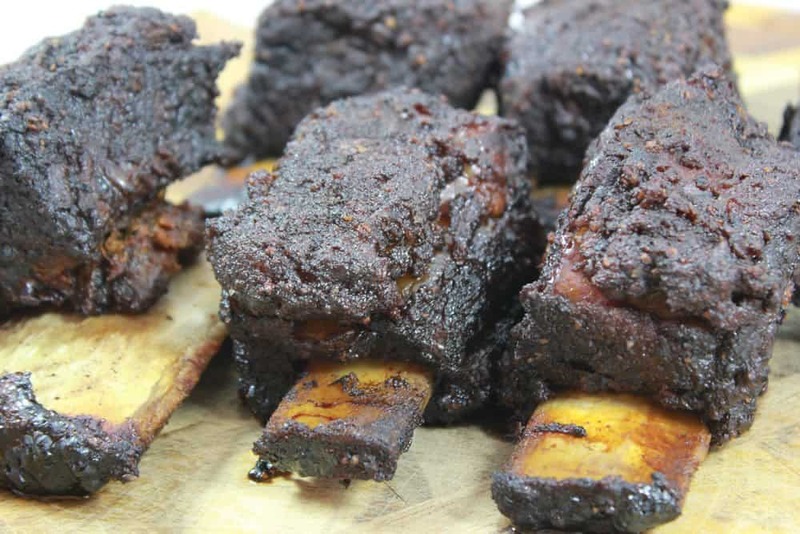 In this edition we are going to make some great tasting smoked beef short ribs. Everyone complains that the beef back ribs are tasty but are very slim pickin's when it comes to actual meat quantity. These beef short ribs are the way to go since they are a lot more meaty and there's quite a bit of fat marbled into the meat to keep them moist during the cooking process. 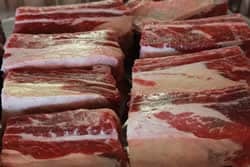 Beef short ribs have a lot of fat on the outside of the meat and in the meat and this makes them perfect for handling the high heat that they must get to in order to reach tenderness. 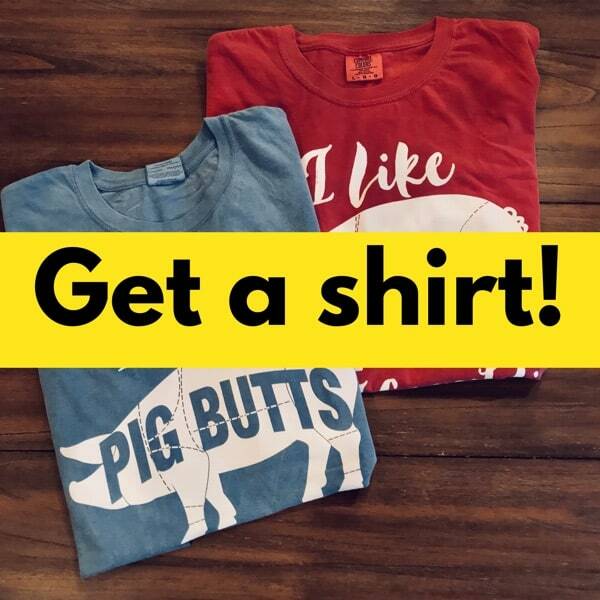 Think brisket when you think of these.. they are usually braised and cooked in some sort of sauce or liquid if you cook them indoors which accomplishes the same purpose of cooking them to very high temperatures and allowing most of that fat to render during this process. Like brisket, they will need to get up to about 200°F or so before they get tender and a lot of patience and TLC will do wonders on them. Preparation is quite simple and this can be done ahead of time, the night before or right before you cook them depending on what is more convenient for you and how much available room you have in the fridge. Remove the ribs from the packaging and, if the butcher did not do this for you, remove the silver skin from the outside of the meat. I usually let the butcher do this extra stuff for me and I don't claim to be the expert at this process. Tip: Use a very sharp knife and paper towels for good grip. 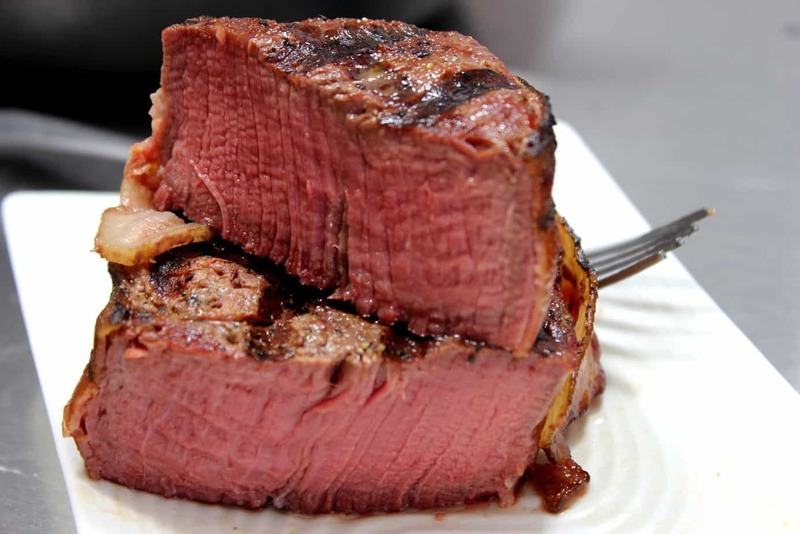 At this point you can also remove some of the fat that is on the outside of the meat if you so desire. I trim a little but I don't fuss with it too much unless I have plenty of time. 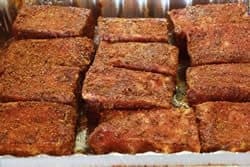 Lay the ribs down in a deep foil pan before applying rub so as to not make too big of a mess and this is also a great way to carry them out to the smoker once they are ready. 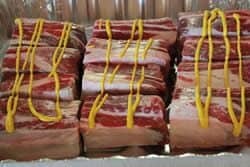 Apply mustard or olive oil to the outside of the meat to help the rub to stick better. I chose mustard this time and it works so well. 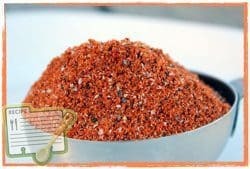 Sprinkle my original rub (purchase recipes here) onto all sides of the meat and let them sit until they get that “wet” look. 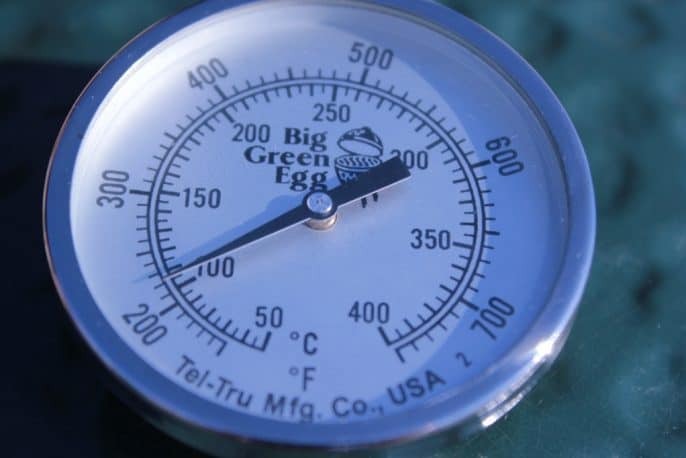 Setup your smoker for cooking at 225°F using your favorite smoking wood. I love pecan or mesquite on these. 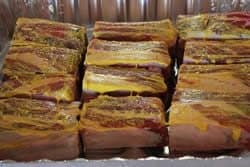 You can use any smoker to cook these as long as you follow my recommended temperatures and you make sure they are tender before calling them done. Place the short ribs directly on the grate leaving space between them to allow the smoke to have full access to all sides. Insert a digital probe meat thermometer into one of the ribs making sure the probe is going into actual meat instead of just fat. 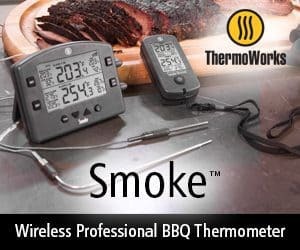 I use the “Smoke” by Thermoworks which is a dual probe remote thermometer with the sending unit at the smoker and the receiver in my pocket or around my neck. 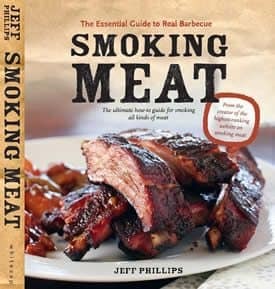 This way, I can go about what I need to do and I always know the temperature of my smoker and the meat. 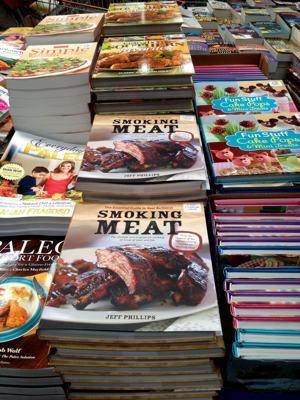 Let them smoke cook until they reach about 190°F. You can expect this to take about 5 hours in most cases depending on the thickness of the ribs, fat content, etc. At this point, start checking them for tenderness by poking one of them with a toothpick or a fork. It should go in and pull out with very little force applied. 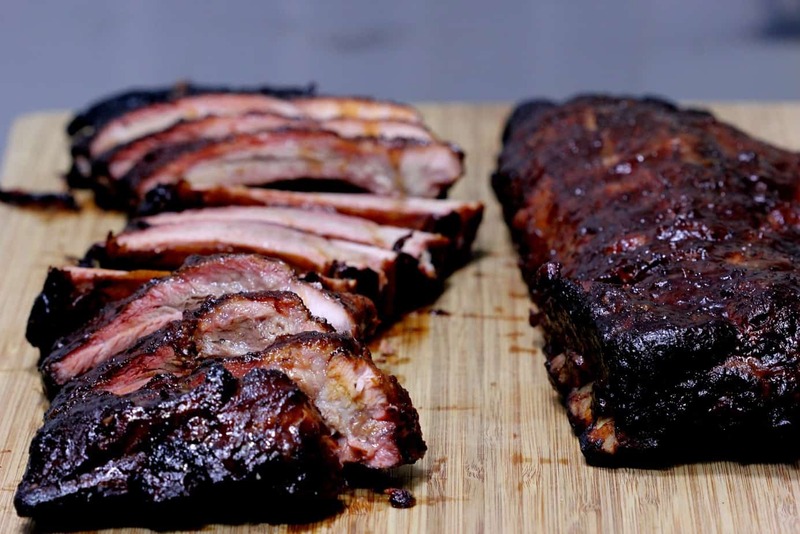 The ribs will probably be around 200°F when they reach full tenderness but once again, it can vary so you have to keep checking every 30 minutes or so and make a judgement call when they are tender to your liking. When the short ribs reach about 160°F, place them in a foil pan covered with foil. Add about 1 cup of liquid (water, beef stock, apple juice, etc.) to the bottom of the pan just before closing them up. Place them back in the smoker and cook them at 225°F for about 2 hours or until they reach about 200°F. 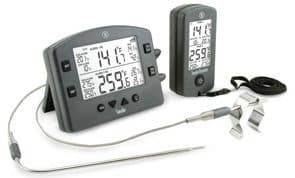 Note: with this method, leave the probe in the meat so you will still be able to monitor the temperature of the meat and tell when they are nearing completion. Should You Use the Water Pan? If you have a water pan.. use it. 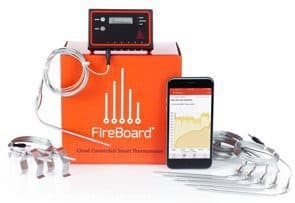 This is a great way to help regulate the temperature of your smoker and to reduce the natural drying effect of heated air. How Long to Keep the Smoke Going? 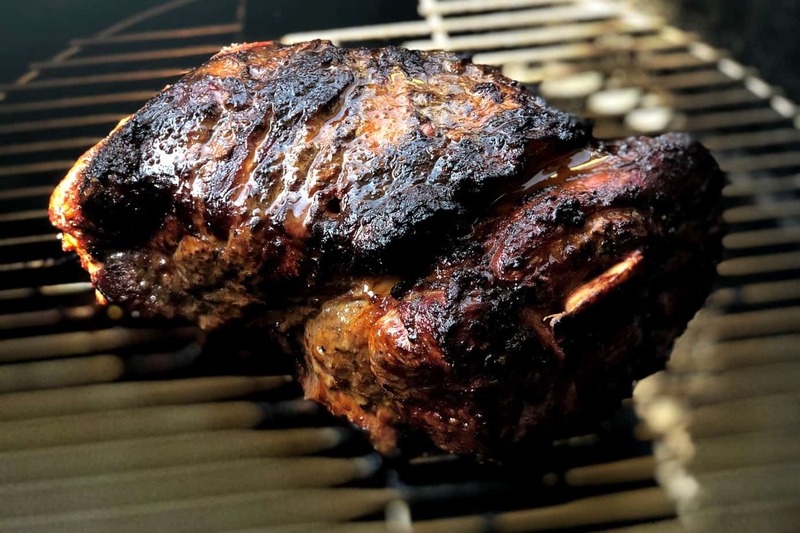 In wood smokers, the meat would be getting smoke for the entire time and this is what gives real wood smoked meat that characteristic robust smoky flavor that we all like so much. In your gas, electric or charcoal smoker, you can keep the smoke going the entire time if you so desire to give it just as much smoke flavor as you can or you can follow my recommended minimum which is to keep the smoke going for at least half of the estimated cook time. 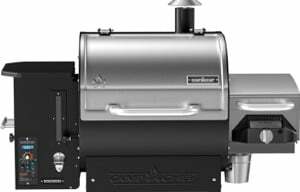 Regardless of what you choose to do, be sure the smoker has some sort of way for air to get into the firebox via a vent, hole or opening and that the smoke has plenty room to exit the smoker via a chimney, vent or opening after it has passed over the meat. This will ensure that the food gets nice and smoky without any creosote being added to the mix. Made the short ribs this week and they were way to salty for us. Now I did use your Naked rub and I did dry brine the ribs, but it was way over salty. I am blaming the soy sauce (low sodium) and the Worcestershire. 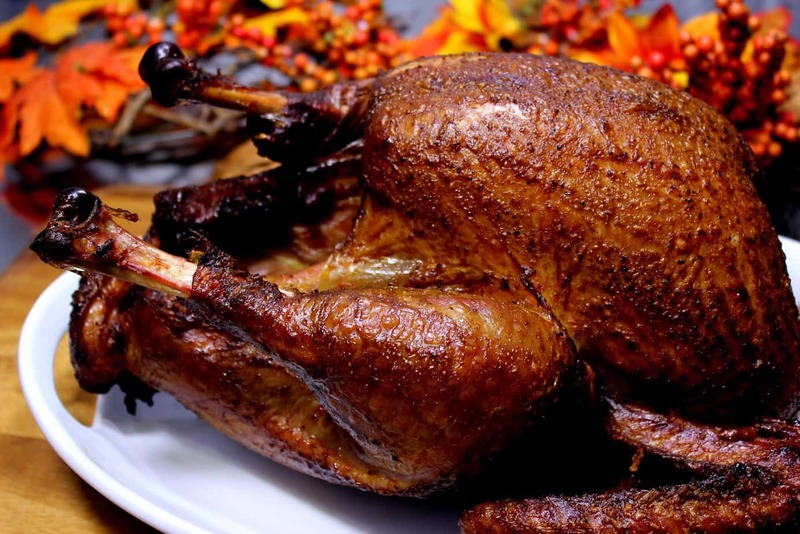 I plan on re-doing it with just the root beer and dry brine and the Texas rub. 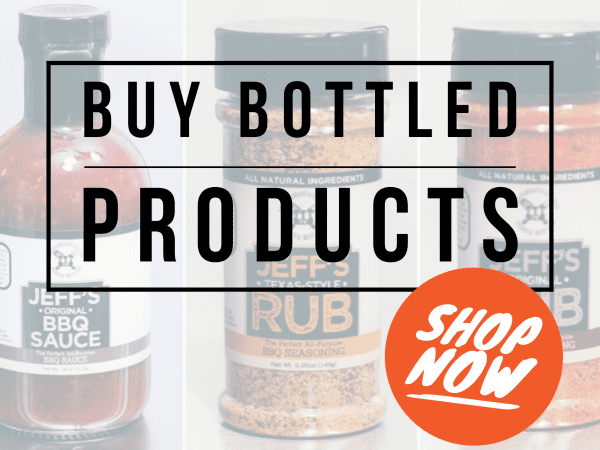 I looked at Jeff’s recipe above and didn’t see any mention of brine, soy sauce or the Texas rub (uses Original Rub). If you do it again with the strict recipe, I’d like to know if you find it improved. I haven’t tried this recipe yet, but am planning to in the future. I don’t plan on modifying it, except maybe using olive oil instead of mustard. Tried the short ribs today. Turned out perfect. Approx. 240 degrees in our little electric smoker with a full water pan and lots of wood chips. Refilled the chips at 3.5 hours. 5.5 hours total to 200 degrees, no foil wrap. Very juicy. It’s difficult to fine tune the temp on our smoker, so you’ve got to just go with it. I couldn’t be happier. 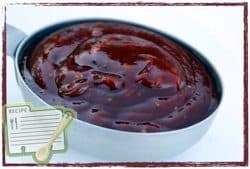 If you keep it refrigerated, how long does the barbecue sauce keep? Bret, I have used it up to 6 months later and it was still good. I am not sure how far beyond that it will remain good. The flavor will most likely begin to degrade at some point as well beyond that point. Smoked beef ribs today and used the Texas rub recipe. 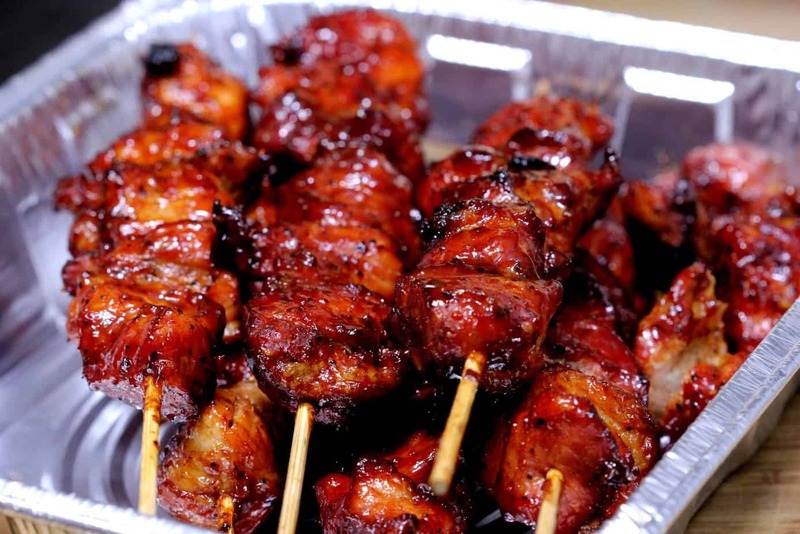 I’ve always used mustard as you suggest to allow the rub to stick, and with your rub, Jeff, these turned out perfect! I followed your recipe. The ribs were dry and tough. Not impressed. You don't mention it in the recipe but it looks like you had the short ribs cut to about 3" is that right? Just trying to get the right portions for 8 people I am cooking this for tomorrow. THE NEW SITE IS TERRIFIC. I enjoy your rub and sauce recipes. Your newsletter has made me a "pro" with my smoker. Thank you for the kind words.. I am very happy that the recipes and the newsletter are working out great for you!